Bringing sociology to broader visibility and influence has been a real priority for the University of Minnesota’s Contexts editorial office. One of our favorite approaches (and most successful, judging by reader reactions) involves exchanges with scholars and intellectuals in other creative fields. In previous issues, we have featured work ranging from Sebastião Salgado’s photography, the art of Anne Taintor and Harvey Pekar, and the reflections of folks like rock critic Chuck Klosterman, humorist Dylan Brody, and magazine entrepreneur Eric Utne. In this, our final issue at the editor’s desk, we turn our attention to the work of a Minnesota-based photographer, Wing Young Huie. We think you’ll see it’s no accident that Huie found himself at the release party for our very first issue, back in Winter 2008. Born and raised in a predominantly white neighborhood of the port city of Duluth, MN, Huie is perhaps best known for a series of projects based in the diverse neighborhoods and communities of the Twin Cities metropolitan area. These photographic explorations (from which a number of the images shown here are drawn) are created and then displayed in neighborhoods like St. Paul’s Frogtown and along Minneapolis’s Lake Street. They are installed in public places and often run for miles, including intimate portraits in the windows of local businesses as well as larger-than-life prints mounted on the sides of buildings. Some are so big that they’re mistaken for athletic apparel advertising or community promotions from the Chamber of Commerce. And these images read, at least to the sociological eye, as striking insights into social life, capturing the community as an aggregrate of its individual members. “Corner of Chicago & Lake, Minneapolis, Minnesota, ca. 1982.” From Lake Street USA, 1997-2000. 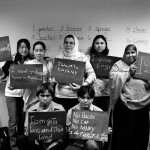 “Classroom, Hubbs Center, St. Paul, Minnesota.” From The University Avenue Project, 2006-2010. 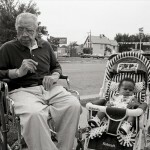 “Waiting, Hubbs Center, St. Paul, Minnesota.” From The University Avenue Project, 2006-2010. 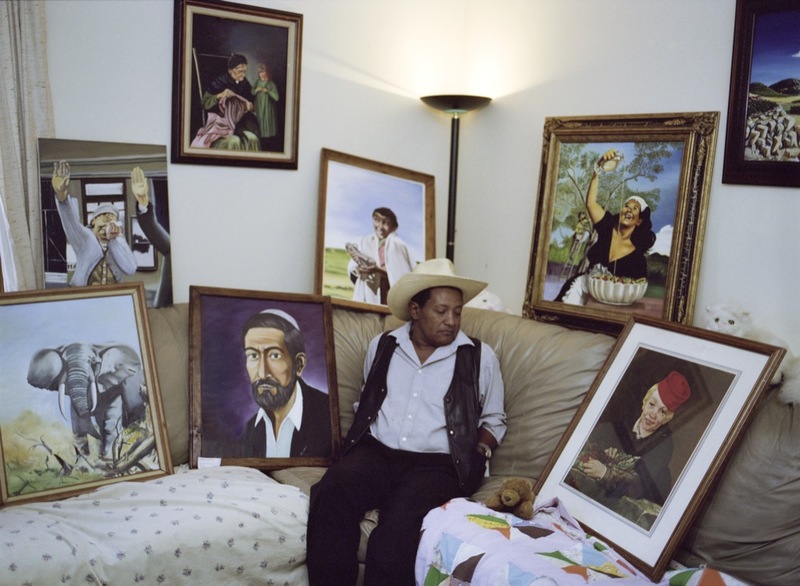 “Artist, St. Paul, Minnesota.” From The University Avenue Project, 2006-2010. 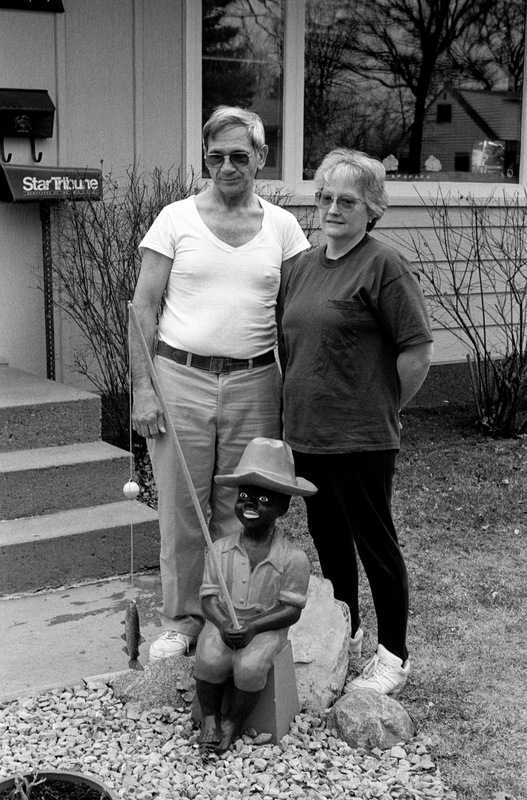 “Lawn Ornament, Crystal, Minnesota, 1995.” From Black Memorabilia. 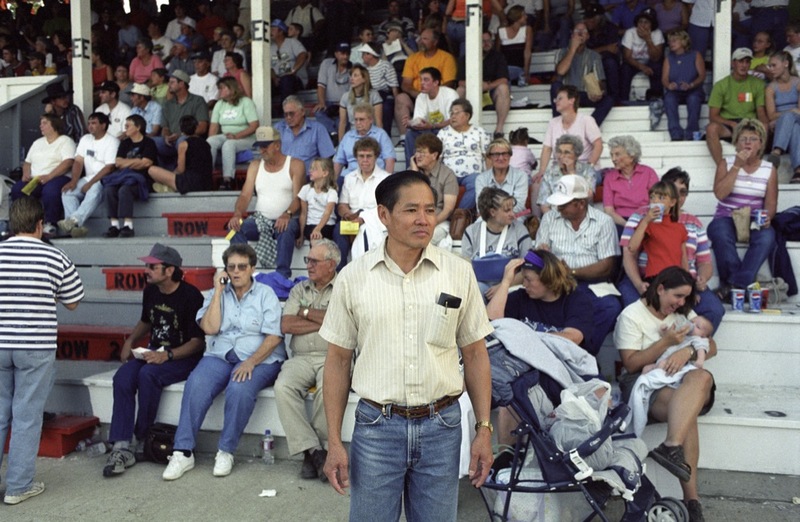 “Demolition Derby, Baker, Montana.” From Looking for Asian America: An Ethnocentric Tour, 2001-2002. 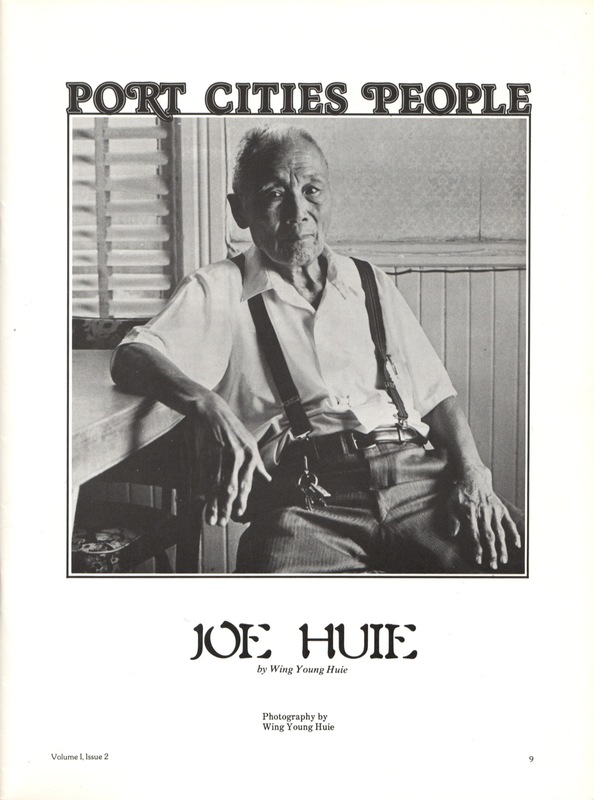 “My Father, Joe Huie, Duluth, Minnesota, Ca. 1980.” From Early Work. 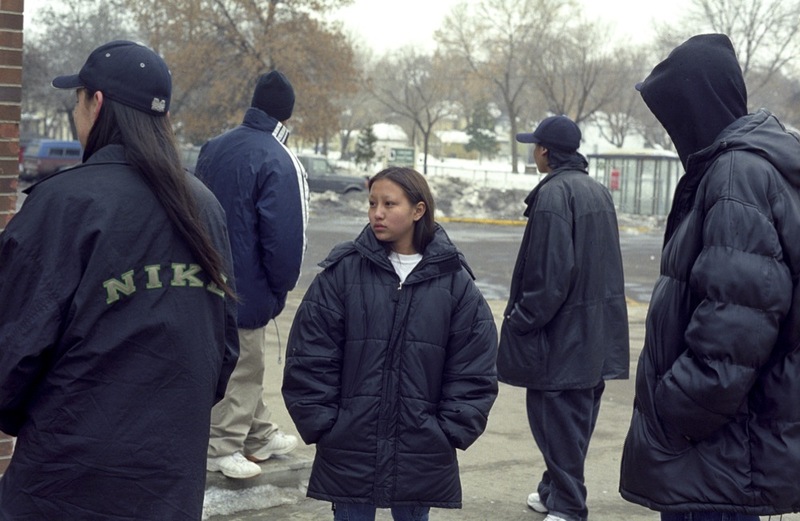 “Schalemar and Her Boys, 2000, Minneapolis, Minnesota.” From Schalemar Flying Horse. 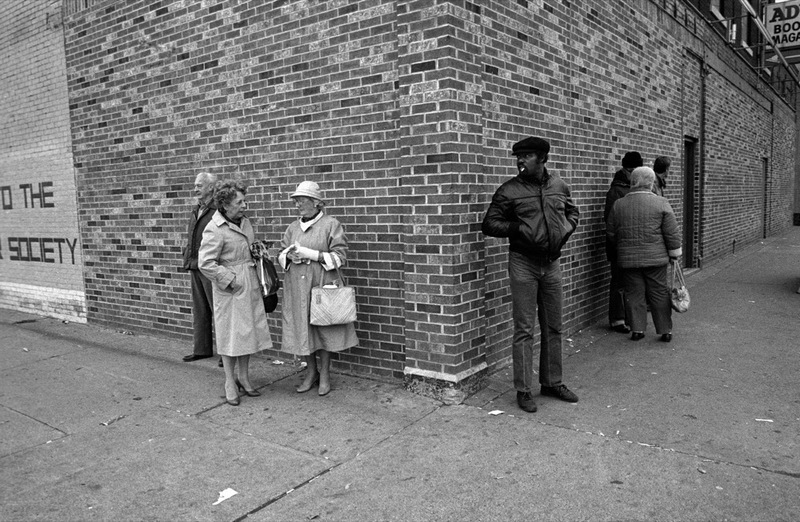 “Three Women, Minneapolis, Minnesota, Ca. 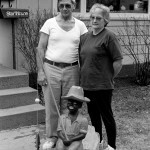 1982.” From Frogtown: Photographs and Conversation in an Urban Neighborhood, 1993-1995. 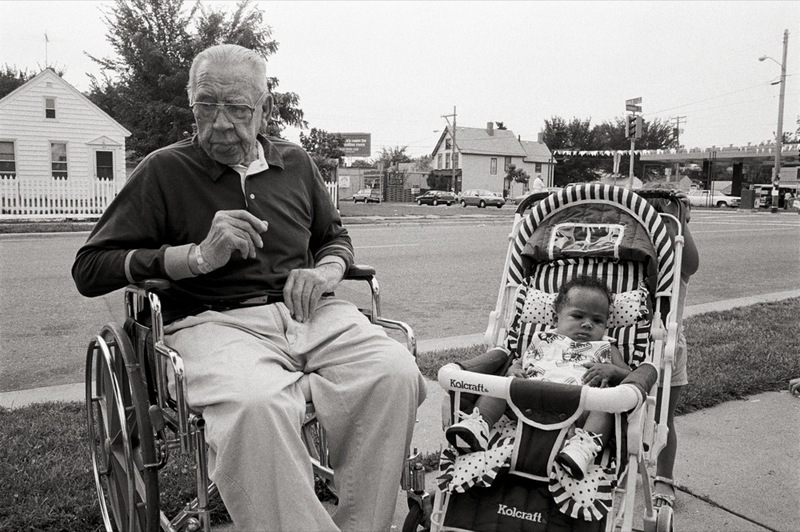 “Elderly Man and Child, St. Paul, Minnesota.” From Frogtown: Photographs and Conversation in an Urban Neighborhood, 1993-1995. Huie says it more simply, stating only that he photographs people in everyday life in “very subjective ways,” looking for images that appeal to him aesthetically. For him, this isn’t about objective, documentary photography that will accurately represent “just the facts.” Instead, it’s his engagement with his subjects that sets him apart. 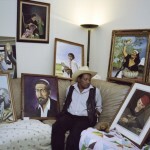 His portraits are meant to create intrigue and conversation, a sense of place that doesn’t require a sociology degree to recognize. Huie’s latest and perhaps most ambitious effort is the monumental University Avenue Project. The portfolio includes hundreds of photographs taken along what locals just call “The Avenue,” the street connecting the Twin Cities from the State Capitol in St. Paul all the way to the campus of the University of Minnesota in Minneapolis. And while the road runs East-West, the project took Huie in several new directions. For instance, in addition to creating prints to hang along the thoroughfare, Huie chose to digitally project the images at night, using large screens in an abandoned lot in the middle of the metro. All summer long, the community looked back at itself. Another new theme was his use of hand-held chalkboards that allowed his subjects to “speak” to the viewers. 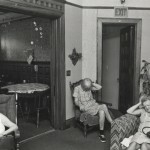 This technique grew out of Huie’s frustrations with the conventions and limitations of documentary photography. 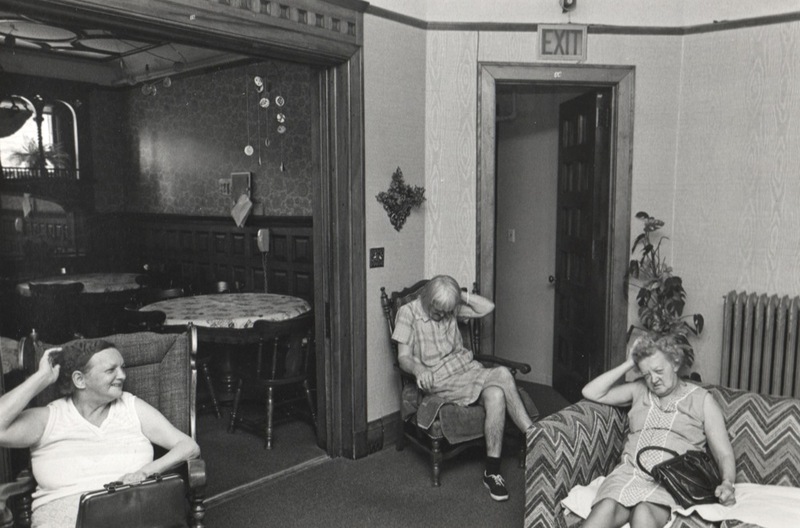 Though it’s his medium of choice, Huie says “A lot of black and white photography portrays its subjects as victims.” Huie counts himself and his work as part of the problem. So, in an effort to “expand meanings rather than contain them” and “to connect the viewer to what is being viewed… reflect what I didn’t see,” Huie began to experiment in seminars and workshops. Eventually, he settled on a reflection and discussion exercise that involved participants writing down their answers to one of these six questions: What are you? How do others see you? What don’t others see about you? What is your favorite word? What is an incident that changed your life? 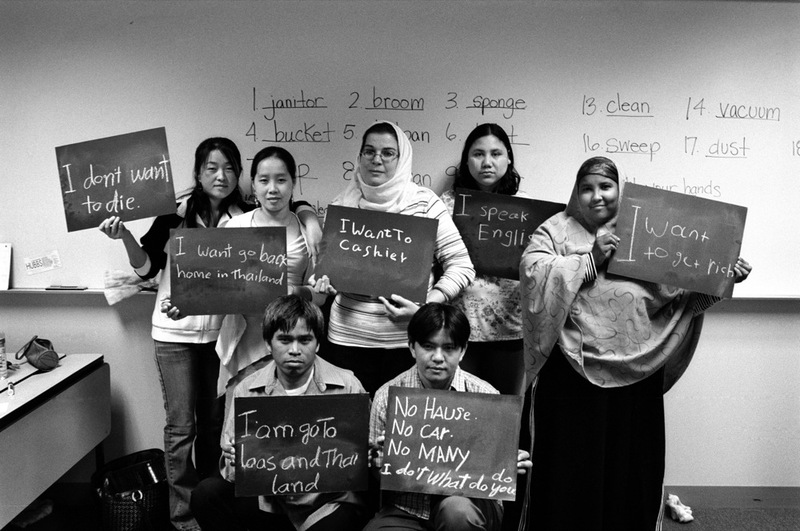 How have you been affected by race? 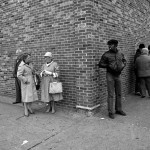 Then, he photographed his subjects, allowing the transitory connections he always makes with these people to continue with his viewers. Huie understands these questions as the beginning of conversations—often tough conversations—between himself and his subjects, his subjects and their viewers, and viewers and their communities. “These questions are difficult to answer. They require someone to reveal a lot about themselves and their own vulnerabilities.” Huie recalls one particular exchange with a young girl who asked him not to share her comments with classmates, but then begged him to include her picture in his show. “But you understand,” he told her, “that then this will get seen by thousands of people, everyone.” The public nature of the show didn’t dissuade her, Huie recalls—in fact, it was exactly what the girl wanted. Huie puzzles on this moment, perhaps a signal of our unique age, in which privacy is guarded, but publicity is paramount. Everyone, Huie muses, wants to be recognized and connect in some meaningful way. Popular as a speaker for fifth graders, corporate titans, and community activists alike, Huie, like his work, is multifaceted. His body of work includes the cultural lives of adoptive families, black memorabilia in Minnesota, an exploration of race and place titled Looking for Asian America: An Ethnocentric Tour, and, in a foray into our “reality TV” culture, a personal profile not of a starlet, but of a young Native American girl named Schalemar Flying Horse. 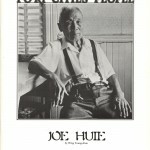 The images featured here are not a retrospective, but a collection of key moments in Huie’s life and work. They’re Huie’s landmark images. 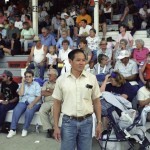 For more information about Wing Young Huie’s work and The Third Place Gallery, visit wingyounghuie.com. Letta Page is the managing editor of Contexts. She has a decade of experience in academic editing across a range of disciplines and has edited and written copy for publications from Oxford University Press, Routledge, Taylor & Francis, and W.W. Norton.